Prime Minister Benjamin Netanyahu on Friday said the Israeli right “is in danger” of losing its grip on power following national elections on April 9, as most of the final polls released before Israelis head to the ballot box gave the rival Blue and White faction a lead over the premier’s ruling Likud party. 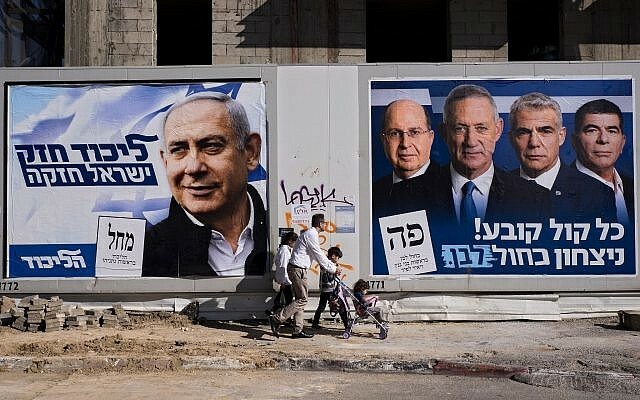 The polls also suggest Netanyahu will be better-placed than Blue and White to form a majority coalition, however, suggesting he will retain power. 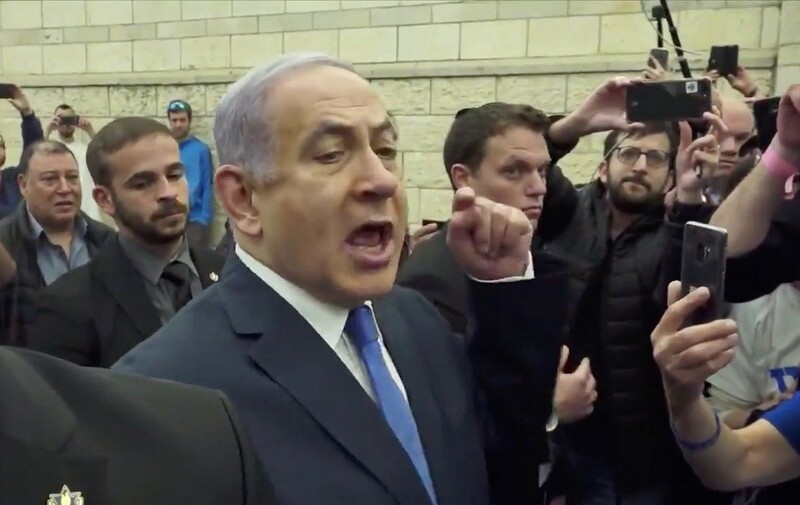 Speaking to Likud activists outside his official residence in Jerusalem, Netanyahu exhorted right-wing voters to back his party on election day, as opposed to other, smaller right-wing parties, warning that otherwise a “left-wing government” led by Blue and White would be established. “Right-wing rule is in danger. [Benny] Gantz and [Yair] Lapid are ahead of us at the moment by four-five seats,” Netanyahu said, referring to the leaders of Blue and White. “If the people of the right don’t pull themselves together and go as one person to the polling station and vote for Likud, a left-wing government by Lapid and Gantz will be established here,” he added. 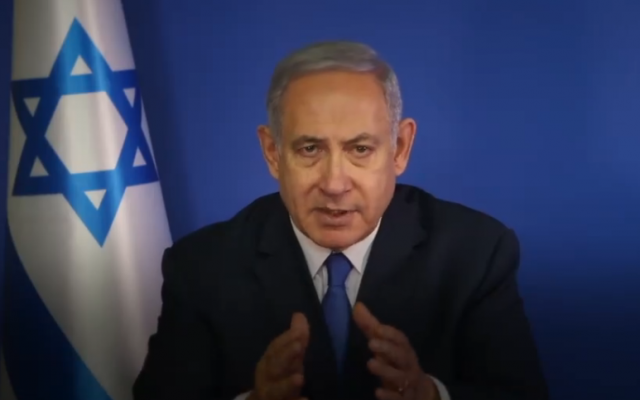 “In order that there will be a Likud government, a right-wing government, [you] must only vote for Likud,” the prime minister said. Netanyahu’s strategy could prove risky. 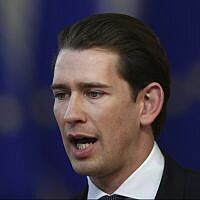 Many right-wing parties essential to his ability to form a government are hovering near the electoral threshold. If they lose too many voters to Likud, they could fail to enter the Knesset at all. Gantz, a former military chief who formally entered politics only months ago, also sought to rally supporters on Friday ahead of next week’s vote. 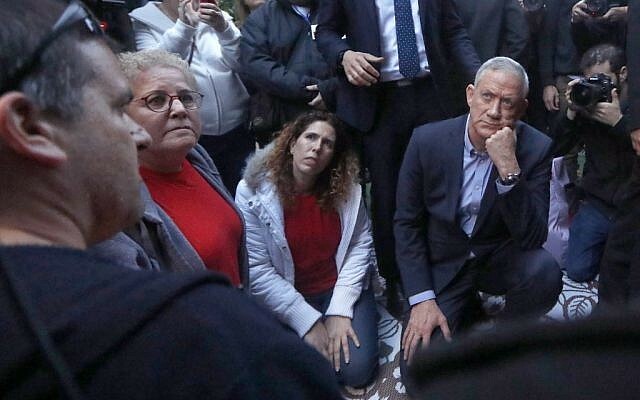 “On Tuesday there is a historical need and a historic opportunity,” Gantz was quoted by the Ynet news site as saying during a campaign stop in Kiryat Ekron, a town in central Israel. “Everything we see in the country will be reversed: We will come to work for the country, not demand the country work for us,” he added. That sentiment mirrored comments Gantz made Thursday in Tel Aviv to residents of southern Israel protesting against the government’s policies toward violence in the Gaza Strip. “When I am prime minister you will be my guests and not Captain George,” he said, referring to the Twitter moniker of a far-right activist who spoke alongside Netanyahu during a press conference at the Prime Minister’s Residence in Jerusalem earlier this week. While the same polls that gave Blue and White a four to five seat lead over Likud also forecast Netanyahu would have an easier path to assembling a ruling majority of right-wing and religious parties, the final decision on who will get the first shot at forming a government rests with President Reuven Rivlin. Following the elections, party leaders will suggest to Rivlin who they believe should be tasked with building a coalition. The president, however, is free to select who he believes has the best chance at forming a government and is not legally bound to select the leader of the largest party or whoever got the most recommendations from faction heads. In a recording released earlier this week, Netanyahu could be heard saying that Rivlin, a former Likud lawmaker, “is just looking for an excuse” to give Gantz a go at stringing together a governing coalition. Yair Lapid, the no. 2 on Blue and White’s electoral list, said in an interview with The Times of Israel on Thursday that “no power on earth” will stop it forming a government if it defeats Likud by four or more seats. Despite Blue and White’s lead in a number of polls released Thursday and Friday, other surveys gave Likud a slight advantage, suggesting voter enthusiasm would play a key role going into election day in determining which party will emerge as the largest. A victory in Tuesday’s elections would put Netanyahu in a position to overtake David Ben-Gurion as Israel’s longest-serving prime minister later this year. On Sunday, Netanyahu marked his tenth year since again becoming prime minister on March 31, 2009, following an earlier stint from 1996-99. An election victory would also make Netanyahu the first prime minister to be reelected while facing the prospect of a criminal indictment. 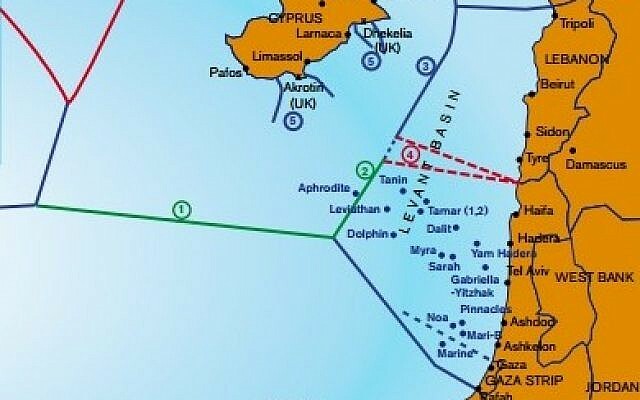 Last month, Attorney General Avichai Mandelblit announced he intends to charge Netanyahu with bribery, fraud and breach of trust in a series of corruption cases, pending a hearing. Netanyahu has denied any wrongdoing and claimed the investigations are part of undemocratic efforts by left-wing figures, law enforcement and the media to push him out of office. A final decision by Mandelblit is expected in the coming year.